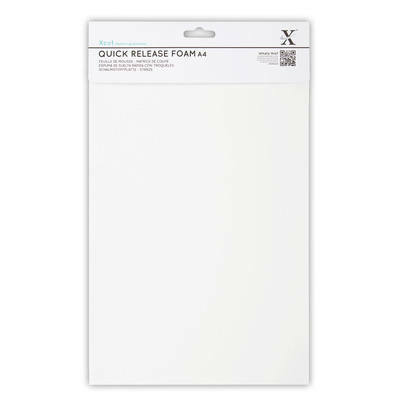 Quick Release Foam help prevents build up of excess paper left in detailed dies and means you do not have to spend time getting all the pieces out. Simply peel away the backing paper and insert the die (blade facing tacky side of foam). Then put through a die cutting machine to adhere the foam in places where your paper would otherwise be. You can then use this foam backed die as normal.